Little bird rattle for Serena (please ignore the unfortunate lady-in-a-robe background). 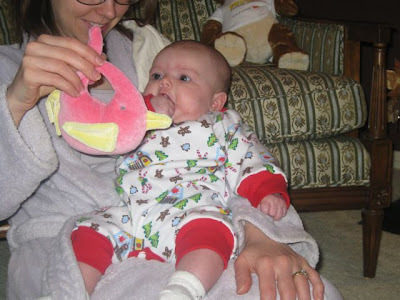 Also shown, her super easy Christmas themed baby suit (more info on that coming in a future post). 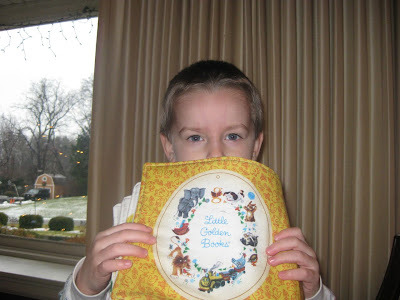 The Poky Puppy fabric book for Declan is also good for peekaboo. Polar Bear Pjs. 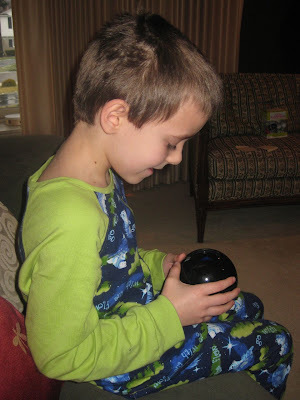 And the single gift request Ethan had for Santa - a Magic 8 ball. Why we asked? "It's got all the answers." was his reply. Don't I wish it did. Here's hoping next year is that easy. I hope everyone had a wonderful holiday and has a great new year. I can't wait to craft it up with you in 2010!! I agree! It is like getting a gift when you see what you've given loved and appreciated!